Rite Rate is regarded as the best plumbing, air conditioning, and heating company in Hawthorne, NJ due to our first-class affordable services. Some of these services include installation, repair, replacement, and maintenance. If you need plumbing, air conditioning, or heating repair in Hawthorne, NJ, Rite Rate has you covered. Our team is made up of licensed and experienced HVAC technicians and plumbers, so you can have peace of mind. If you are planning on getting a new heating system for your home or business, we can help with that. From heater installations to heating repair in Hawthorne, NJ, Rite Rate can take care of your heating needs. Our technicians have great skills and knowledge in handling different brands of heaters and will get the job done quickly and professionally. Our heating services include boiler repair, furnace installation, oil to gas conversion, and hot water heater replacement just to mention a few. When you need a new air conditioning system or are having trouble with your existing one, Rite Rate is the air conditioning company in Hawthorne, NJ to turn to. 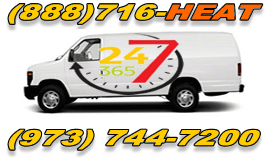 We can install or repair your air conditioner quickly and professionally. We have priced all our services to be pocket-friendly for residents and commercial businesses. If you’re experiencing problems with your plumbing, whether it’s a clogged toilet, drain, sewer, or leaky pipe, call Rite Rate! Our plumbers have the right tools and gadgets to get the job done quickly and efficiently. We use video camera pipe inspection to check on what's causing pipe blockages or leaks and take the necessary steps to rectify the situation. Our plumbing services include installations, replacements, repairs, flood assistance, and water damage restoration. If you are wondering where you can get affordable plumbing, cooling, and heating repair in Hawthorne, NJ, Rite Rate can help. Over the past few decades, we have proven to be a reliable source of high standard and professional services. Contact us and experience our first class services today!